The city of Como is a delightful and popular locality, ideal for a relaxing weekend on the Lake Como in particular in the period among April and October and during the summer holidays. Como is full of beautiful and famous hotels, both in historic buildings and in modern facilities equipped with amenities and services suited for a demanding and refined clientele. 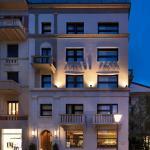 If you are looking for a lakeside hotel in Como, hotels near Via Fratelli Rosselli and Lungo Lario Trieste do for you! 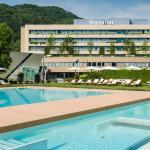 If you prefer a luxury hotel in Como why not choose the Terminus Hotel or Metropole Hotel? Select travel dates and find all available hotels in Como, check out guests reviews and locate properties on Como city maps, book your favourite accommodation with no pre-payment. All rates are in Euros and inclusive of all taxes. Hotel Borgovico is located a short distance from the train station in Como San Giovanni and a few minutes walk from the historic center. 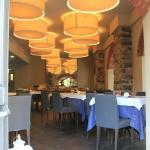 In the area there are several delicious restaurants. 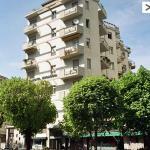 Engadina hotel is located 400 meters from the Como train station and only 10 minutes walk from downtown. The hotel is close to restaurants and shops. Lake Como and the port are nearby.